Sabine "Barbie" Henson figures after the hell her team had just been through, she could relax and enjoy a vacation. But work is never far away and a call from Beast sends her rushing to Rotterdam to help a friend. The friend, Caleb “Crash” Pope, a man Barbie never thought she’d ever get a second chance with. Caleb Pope has loved Barbie since the moment he laid eyes on her. But she doesn’t share the same feelings and life goes on. When he goes on vacation and winds up the target of every wanna-be bounty hunter in Europe, it’s time to call in the big guns. One call to Tex, sends CIRO to the rescue. When things take a turn for the worse, battling her growing feelings for Crash isn’t the only issue. 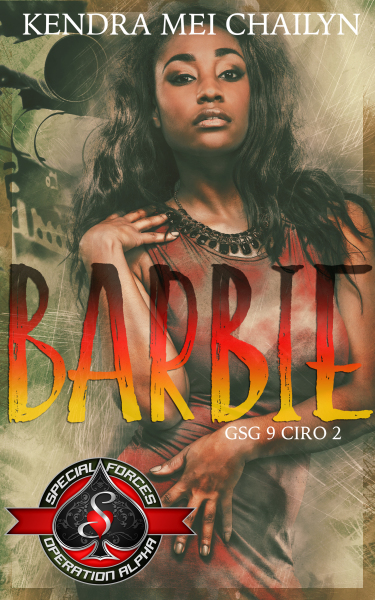 These bad guys are about to learn, when Barbie gets angry, she bites back—and they won’t even see it coming.